We have a wide range of drinkers available, from stainless steel to cast iron to plastic, we will have a drinker to suit your needs. It is essential to have a continuous supply of water available to livestock at all times especially while they are housed this winter. This is a durable stainless steel flipping drinker manufactured in our factory in Coachford Co Cork. This water trough can be easily mounted to a wall to provide fresh water on a constant basis to animals while housed. A common problem with drinking tanks in houses is water being fouled. 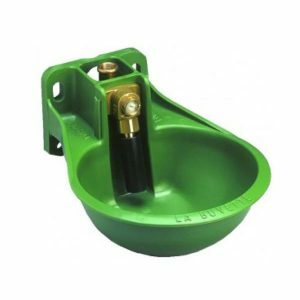 Cleaning out tanks can often be an arduous task but with the flipping drinker, contents can be simply dumped by a quick flick over of the tank, which is on a pivot. 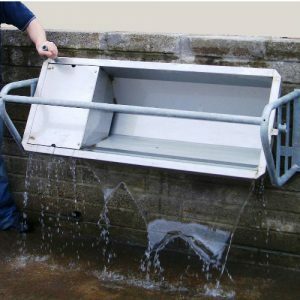 This water tank is available in 1.25m or 2m lengths. Our fixed water tanks are made from stainless steel and is also manufactured in our factory in Coachford. It is a long lasting, rust proof metal which can be easily cleaned, thus keeping your drinking tanks more hygienic. It is available in 1.25m, or .625m long with optional protection. 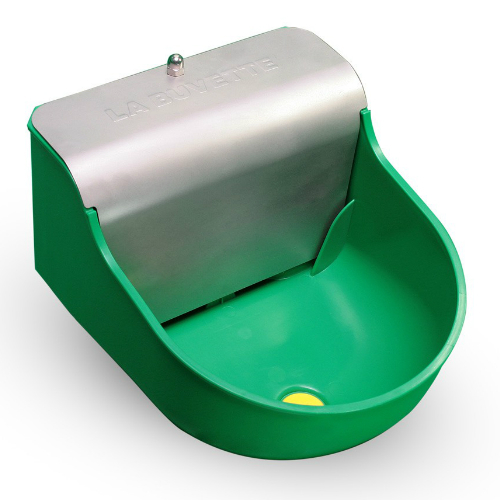 The La Buvette Lac 55 drinker is a double cast iron bowl with constant water level. Its valve is protected under stainless steel cover to prevent any damage from livestock. This drinker has a drain plug for ease of draining bowl. This bowl comes with an option of a protection to protect the bowl from livestock. The La Buvette is a cast iron drinker bowl that provides a constant water level. 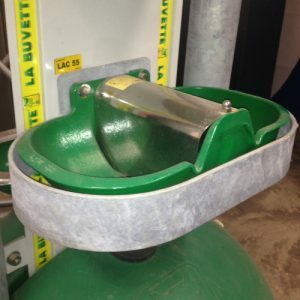 The valve is protected under cast iron cover to prevent animals from damaging the valve. This drinker has a unique feature of a drain plug for ease of draining soiled water. The Lac 5 has a capacity of 5 litres. The float valve in this drinker provides a high flow rate. This bowl comes with an option of a protection to protect the bowl from livestock. 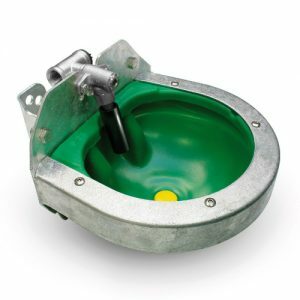 Synthetic drinking bowl with constant water level. 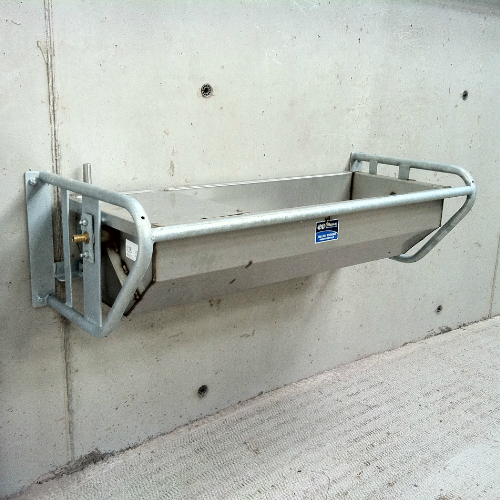 Especially designed for calves, sheep and horses (Not suitable for goats). New material: more rigid and as strong as ever. More sturdy and durable stainless steel cover guarantees increased reliability. Adjustable water level. Quick cleaning without the use of tools through Ø 35 mm drain plug. This bowl also comes with an option of adding a protection to protect the bowl from livestock. 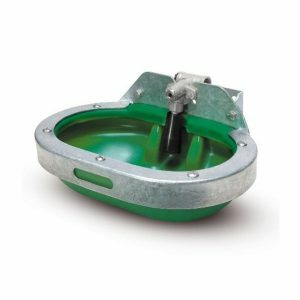 Large shock resistant synthetic bowl with smooth tube valve. Perfect for calves or horses. 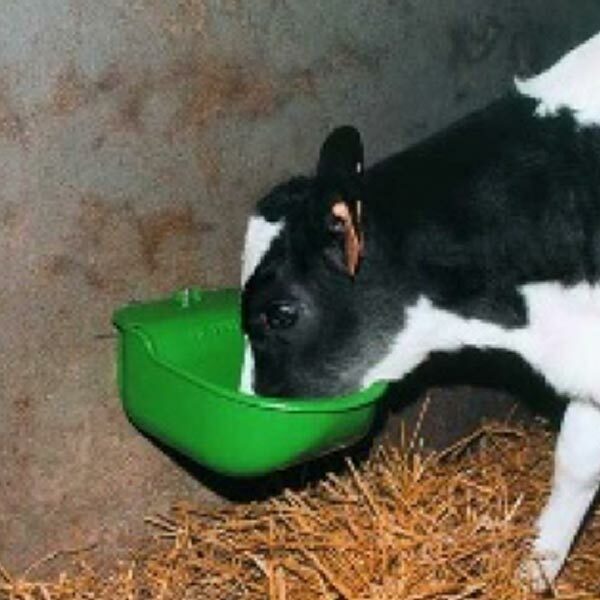 The animal fills the bowl with their nose against the tube valve. Adjustable flow rate. Non-spill and non-chew resistant drinker. The rim of the bowl is entirely protected by a non-spill edge avoiding water spillage by the animals. With its large bowl dimensions (L 404 x W 262 x H 120 mm) the F40 is the perfect drinker to be installed between two pens for a higher drinking comfort of your cattle. A set screw allows increasing the flow rate up to 20 l/min without disassembly and the tube with jet breaker delivers a gentle flow of water. The rounded shapes avoid injuries to the animals. The full hot dip galvanised steel protection avoids nibbling. Ease of installation and maintenance. The F40 can easily be installed against a wall. Non-spill and chew resistant drinker. The rim of the bowl is entirely protected by a non-spill edge avoiding water spillage by the animals. The rounded shapes avoid injuries to the animals. 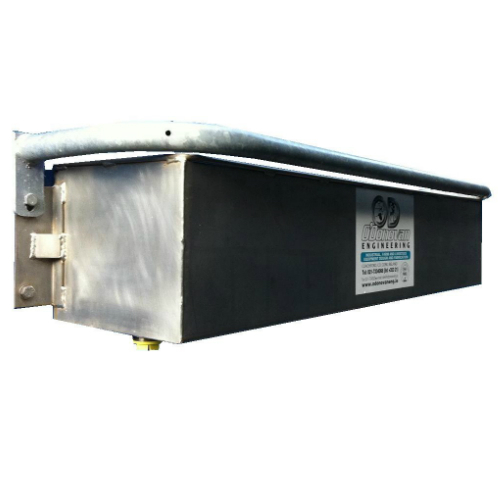 The full hot dip galvanised steel protection avoids nibbling. Ease of installation and maintenance. The F25 can easily be installed against a wall, on an I-shaped or round post. Hi Mike, there is probably a bit of dirt or grit in the jet. I have e-mailed you the maintenance instructions. If you need anything else just let us know.